A lot has been written about leadership, I've read books, articles and listened to speakers. There is not one thing that makes a great leader, each person is a bit different in personality, style, gifting and drive. Some leaders are bold and charismatic while others are quiet and reserved. I've seen great leaders with each of those traits. 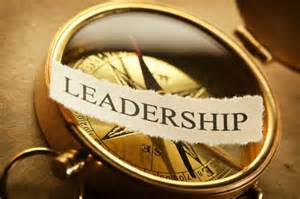 So what's important to know in leadership? As a young person what can be done to grow as a leader? Be the best version of you - Don't try to copy another leader's style or personality. Work at knowing yourself and what your strengths and weaknesses are. Learn from other leaders but be who you are and keep improving who you are. Personal growth should be a high priority if you want to be a great leader. Early in my leadership I would often try to imitate leaders that I admired and would wish I had gifts I did not have. That led to frustration and disappointment. As I got comfortable with who I was, I got better as a leader. Ask for criticism and feedback - Give the people around you permission to criticize you and give honest feedback about your leadership and the systems, procedures and policies that are in place. Create safe ways for that to happen. Doing that allows people to be open and honest and helps to keep you humble. When I get critical feedback it always motivates me to get better, focus more and make adjustments and ask questions. Take the time to plan - Most people do not take time to write down their plans and think about how to get there. Developing a life plan that involves personal and business is critical for high level leaders. This means setting aside time to think, study, analyze and dream. It means writing down your plans or your vision for the future and then developing goals on how to get there. It also means putting those goals on your calendar, updating your progress as you go and staying focused. When you spend time planning it's easier to say no to good things so that you can say yes to the best things. Planning well keeps you focused on the right things, not the urgent things. Learn to relax - Most leaders have a high drive and love to get things done. However, if you run at full speed too long you can blow a gasket or your whole motor. High level leaders know how to stop, relax and recharge. They understand when they need to take a break, get away and spend time doing something they love doing or simply spending time with family and friends. Taking a sabbath day each week is a great place to start. Don't wait until you are burned out to relax and recharge, build it into your daily, weekly, monthly and yearly planning. If you don't deal with stress, the stress will deal with you. Build healthy relationships - Leadership is all about relationships. To build healthy relationship you have to be healthy yourself. So deal with your junk, go see a counselor or a coach and work on your issues. Then work at deepening the relationships in your life at home and work. When the people around you trust you, know you and understand you, the team will be much more productive. This takes time, patience and lots of hard, honest conversations. Speaking the truth with love leads to healthier relationships. Caring about the people you lead is vital in leadership. If people know that you actually care about them as a person they will follow you wherever you go. contribute to make things better? What part do you need to own? What is under your control? Doing this helps to keep you humble and focused on yourself and not the other person. Coming up with solutions to problems instead of complaining about the problems is what high level leaders do. They own their mistakes, admit when they failed and ask for forgiveness. They don't make a bunch of excuses or shift the blame. This is a mark of maturity and builds incredible trust and respect. Learning to lead is really learning about yourself, knowing your blind spots and barriers. Knowing your core fears, weaknesses and scars. When you raise your level of self-awareness you raise your level of leadership. Then if you can surround yourself with people that will be honest with you and are gifted in areas you are not, incredible synergy can start to happen.